A Fuller Day: Anyone who has brought a new baby into the mix and had a less than thrilled first child. This one's for you! Anyone who has brought a new baby into the mix and had a less than thrilled first child. This one's for you! 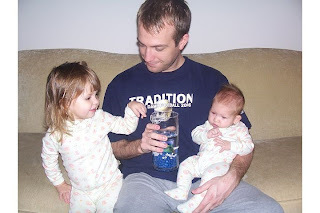 only by coaxing Aislynn to sit by her daddy and look at a fish. I still remember bringing home my middle daughter from the hospital. I scooped Isla out of her infant seat and laid her in a "Moses" basket in our living room. She looked so tiny, adorable, sweet, asleep. We anxiously awaited my parents return with our oldest, Aislynn who was 2 years old at the time. Aislynn had not met her new baby sister in the hospital and I was feeling nervous. I still remember everyone saying to me when I was pregnant, "Is Aislynn getting excited to be a big sister?" I always thought that was a stupid question. 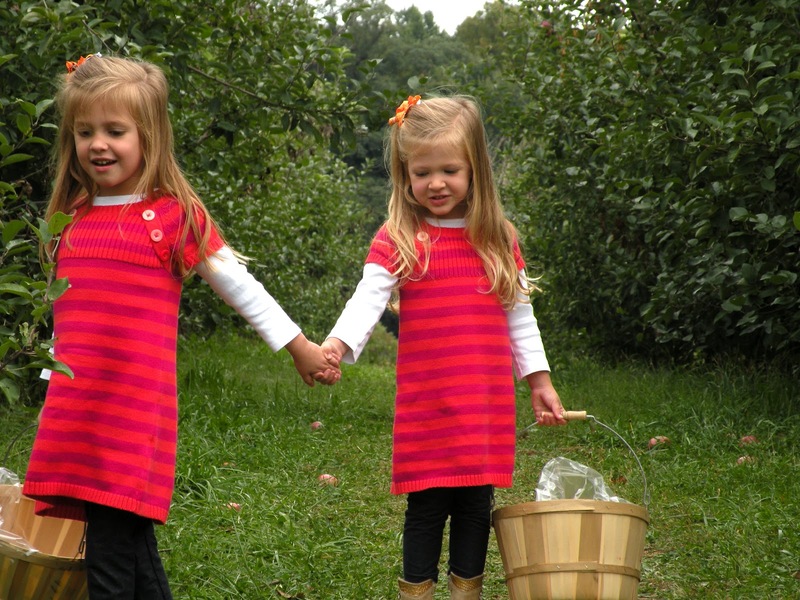 How does a child know what it means to be a "big sister" when that child has been the only child for 2 years? And how could I answer, "No, I don't think she is excited, or will be excited. In fact I think she will be very unexcited to have a baby join our family. She seems to be somewhat afraid of babies and sobs when babies cry, so no, I don't think she's excited to be a big sister." My parents arrived. I remember them opening the door and Aislynn running in. She looked so big, like she had aged 2 additional years in the last 2 days we were apart, especially compared to my 6 lb. 7 oz. little girl. We hugged, she looked at me, she looked at her daddy, then she looked at the moses basket and her new baby sister. 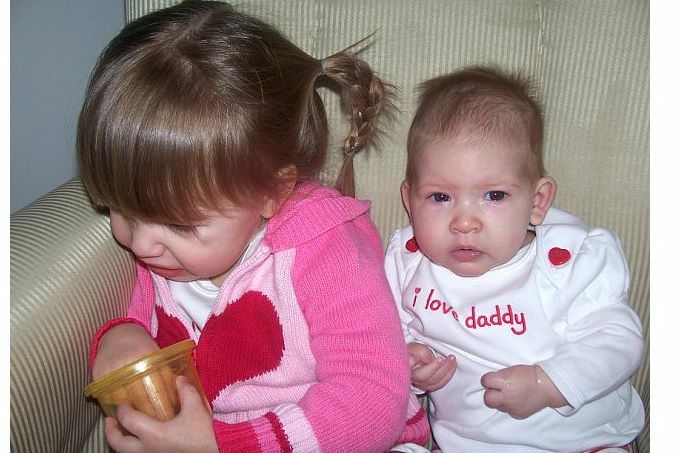 Aislynn started sobbing and crumpled down to the ground and refused to look at her new baby sister. Then Aislynn escaped to her room, a safe, baby free zone. Although this response was about what I expected, it didn't make it any easier. A million things raced through my head, fears, thoughts, concerns. 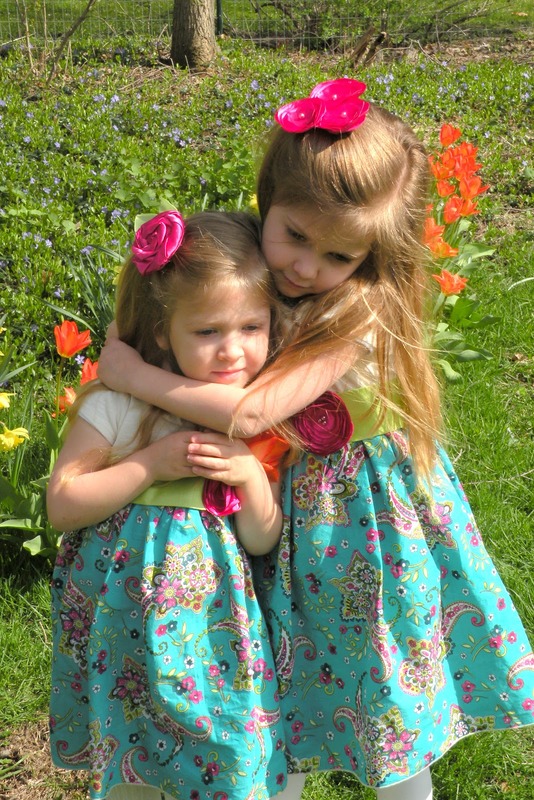 I knew in my heart some day, my little girl would love my even littler girl, but I was not feeling very optimistic at the moment. Someone starts to come around. The following next few days were filled with me running to the other room, out of sight from Aislynn when I needed to nurse her little sister, Isla. Aislynn did not want to have anything to do with the baby at all. If anyone tried to get her to interact with the baby she would run to her "baby free" bedroom and peek around the door. Sometimes she would even say, "Baby all gone." Excellent! One morning she crept into my room and peeked carefully into the moses basket next to my side of the bed. Normally Isla would be laying there and so Aislynn would run back to her room as though she had spotted a preditor and needed to escape. On this particular morning, Isla was in my bed. When Aislynn saw the empty basket she perked up shouting, "We did it, we did it!" Which I could only take to mean, "We got rid of the baby finally." She victoriously ran out of the room and back only to notice the tiny baby that had not disappeared, laying swaddled on my bed. She was clearly disappointed. Days past, weeks past, and slowly Aislynn moved from intolerance, to tolerance, to acknowledgement, to interaction, and it continued to get more positive. 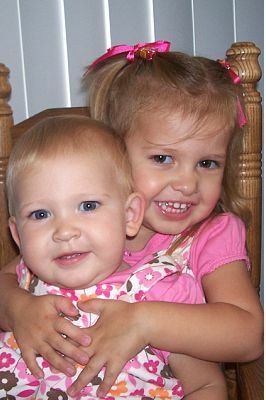 Slowly but surely, Aislynn grew to love her little sister. 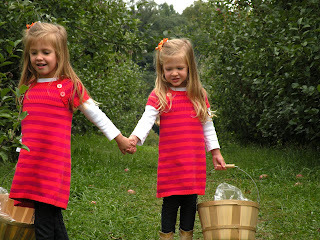 Now Aislynn is 6 and Isla is 4. Last night they both begged me to have a "sleepover" as they do every night now. 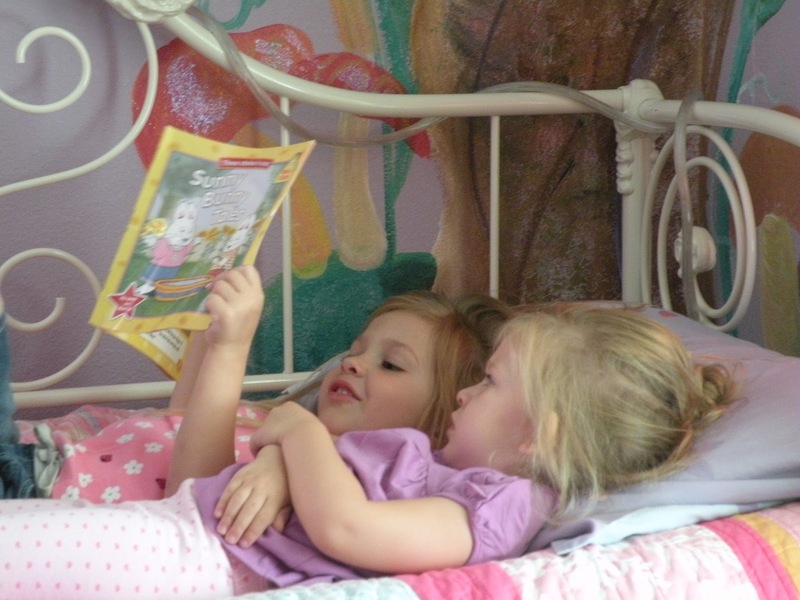 They both already sleep in the same room, but a "sleepover" means Isla climbs into Aislynn's bed and Aislynn reads them books for 10-15 minutes. After I ended the sleepover, they both gave eachother a tight squeeze. "You are my best friend Aislynn!" Isla said. 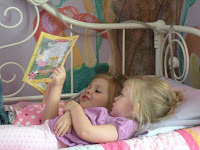 "And you are my best little slumbering buddy Isla. Sisters forever!" Aislynn replied. It was like a scene out of a family movie. They both laughed. And 6 years flew through my mind and I truly felt grateful to see how far we have come. I completely agree about people asking if a two year old sibling is excited about the little baby. How are they to know?? ?